Father Robinson has written two essays, not one as his title indicates. That on tradition is prolegomenon to an extended treatment of prayer, a prolegomenon that one at first might think could well have been omitted without weakening the altogether satisfactory second part of the book. In order to explore extensively the traditional stages of prayer, Robinson felt a need to insist on a point so obvious that its inclusion is an implicit criticism of our age as one in which nothing can be assumed. The point is that tradition must have content as well as be a process, that is, something must actually be handed on in the moment of contact between two parties, two generations, and even two eras. In this inclusive understanding of the term, tradition is constitutive of the human experience, even at the physiological level. An individual’s genes with their accumulated store of information are passed on to him by his parents at the moment of generation. His physical existence can therefore be seen as an instance of the root meaning of the tradition: “A handing over.” This genetic transfer is a nice parallel to Robinson’s view of tradition. As genes incorporate the physical inheritance which comes down to a man from his ancestors, recent and remote, with each generation making its peculiar contribution, so too in the realm of the spirit, “tradition puts us into contact with the ways in which the mystery of Christ has been lived by faithful Christians in their life of prayer from the age of the apostles to our own time” (p. 28). As a man bears the physical stamp of his ancestors in his bodily make-up and appropriates the cultural achievements of earlier ages in his social life, so can he also profit from the spiritual inheritance of his forbears in the faith when he makes the Christian tradition his own. Wide indeed is the application of this fundamental insight into tradition. It is, for example, as essential to Protestantism as it is to Orthodoxy and Catholicism: “After four centuries of saying ‘The Bible only is the religion of Protestants,’ Protestants have, in this principle, nothing less than a full-blown tradition” (Jaroslav Pelikan, The Vindication of Tradition [New Haven, 1984], p. 11). The scientific method, too, passes on methods and results of earlier times, so that current researchers benefit from the knowledge that they have received even as they extend it. The arts at times exhibit a mode of development that—in the hands of a Bach or a Mozart—sacrifices nothing as it moves ahead. The arts, however, also demonstrate the need to insist on content as well as process in discussion tradition, for in a sterile search for novelty they can break with, rather than extend the inheritance of the past. In such cases, any handing on is reduced to an encounter between the spectator and the artist by means of his work. A similar limitation is found in some political theories of liberation, for example, in which the past is not simply ignored but actually attacked. These secular parallels substantiate Robinson’s claim that even in religious tradition, content can be reduced to the vanishing point as all becomes process. 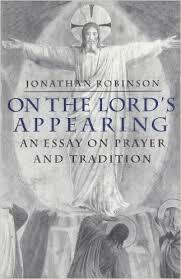 What Robinson has himself received and wants to pass on is described in the second part of his book, the essay on the tradition of prayer. Each age must rewrite the books of the past—that’s one method of keeping a tradition alive—by presenting standard teaching in a form suitable for a new audience. Two things make Robinson’s re-statement of his familiar topic worth reading: a fervent exposition and a somewhat idiosyncratic mix of sources. For example, he describes five stages of prayer—the Lord as Liberator, Healer, Friend, Father and Lover—rather than the usual three. As a member of the Oratory, Robinson draws widely on the thought of two famous Oratorians: its founder, Saint Philip Neri (+1595), and John Henry Newman (+1890). Saint Philip’s method of preaching was to comment spontaneously on a text, and one such text was the poetry of Jacopone da Todi (+1306). In a pleasing illustration of tradition at work, Robinson also utilizes one of these poems. The choice of da Todi is a good one, in several ways. Few readers will know much about him, so that the introduction of his neglected figure in the tradition of prayer has an attractive element of novelty to it. Furthermore, Robinson communicates well his own appreciation of the spiritual power of da Todi’s religious poems, the Laudes, one of which—Laud 46, “The Five Ways in which God Reveals Himself”—provides the framework for the second essay in the book. Other standard authors, such as the great Spanish Carmelites and Saint Francis de Sales, are of course amply invoked. The book merits a wide readership, for it addresses a difficulty that confronts the most zealous and well-intentioned members of many evangelical movements within Christianity. Too often the convert wants to maintain his initial fervor with all the emotional exuberance that characterized his making or re-making a serious Christian commitment. The wish to remain on the threshold of the spiritual life is understandable, given the remarkable consolations and enthusiasms of that position. But to do so is to risk stagnation or even the abandonment of the new commitment, despite the enthusiastic fervor of the conversion itself. It’s like wanting to remain in romantic love in a relationship that calls for that deeper union which is created only through patience, fidelity, and suffering. The wisdom of the past—the tradition—warns the neophyte of a cleansing process that is necessary to bring him into spiritual maturity. The suffering is intense as first the senses and then the spirit are purged as by fire. Robinson’s allegiance to the classic treatment of prayer allows him to discriminate nicely in handling his sources. He defends, for example, the traditional theology of Original Sin against John Rist (p.88) and, against a widespread view among scholars, the existence of the devil (p.91). So too, he rescues (pp. 80-82) from the criticism of Karl Rahner the validity of the traditional three stages of prayer—purgative, illuminative, unitive (or beginner, proficient, perfect)—even through in this book the fivefold division mentioned above is followed. While there is nothing strikingly original in this study, Robinson has brought together with impressive erudition a wealth of insights that witness to the process by which the soul grows towards a sublime union with God. Particularly noteworthy is the profound and moving treatment of the purifications that are necessary, inevitable in the movement from earth to heaven. In this regard, an insight from Thomas Merton extends and concretizes Robinson’s statement that “people are very different, and the way God gradually awakens a person’s heart and soul to turn to Him varies from one soul to the next” (p.128). Merton noted that the sufferings experienced by many lay people in the vicissitudes of life can bring them to an utter dependence of God and so prepare them for the highest levels of a union with God that one associates primarily with cloister. In order to avoid a false impression of the Christian prayer, Robinson would have been well to give more explicit attention to the liturgy; a few pages on the sacraments under the rubric of Christ as healer (pp. 110-120) are not sufficient. For the great mystics, the monastic round of prayer and the seasons of the Church year formed the bedrock of their spiritual life. Admittedly, this basis will be neither available nor adverted to by many of the prospective readers of this book; nevertheless, whatever the inadequacies of current liturgical practice (see pp. 118-120), the liturgical year is still intact, and it is this round of feasts and seasons that has shaped “personal prayer in the tradition of the Catholic Church” which Robinson says on page 1 is the topic of his book. There is a welcome emphasis on the gratuity of the higher states of prayer. The traditional, well-marked road to perfection is not the only route. For some, the approach to God may be rapid and direct, so that “a beginner may be further ahead than someone well practiced in the ascetical life” (p. 83; v. also pp. 65-66). The supreme example in the Christian tradition is Mary the mother of Jesus, as Robinson notes in his closing pages. Intense suffering did come, although in her case it would not have been preliminary to her attaining perfection. There may be other extraordinary souls that rise to God almost directly from their baptism. It is not that man’s sinful state is ignored; rather it is endured but without actually sinning. An incident in the life of Saint Thérèse of Lisieux is relevant in this regard. She felt that she could experience through the power of her love the conversion of the public sinner who washed the feet of Jesus with her tears (Luke 7). Thérèse, aware that she was capable of all the sins that the woman had committed, was able to achieve the purified state that Christ’s forgiveness effected in a woman whose “many sins were forgiven for she loved much.” We learn however, from the subsequent history of Thérèse that suffering comes either as a witness or as a means to spiritual maturity. Robinson is writing for ordinary Christians who, with much to repent of, will benefit from his careful analysis of the initial process of conversion and of the means by which it can be incorporated into a developing life of prayer. His accurate and detailed description of the stages of the spiritual life will encourage and safeguard serious Christians on their journey to God.